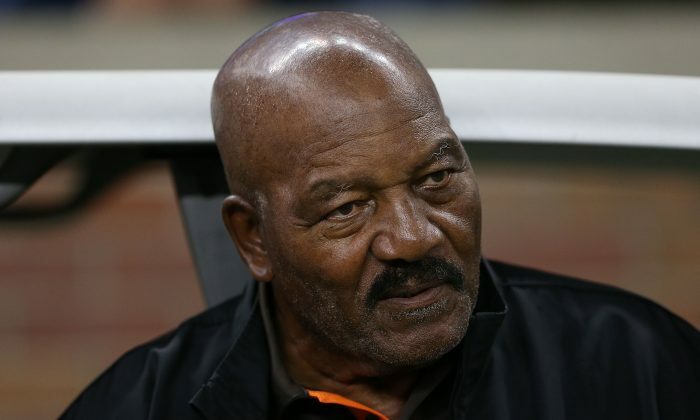 NFL Hall of Famer and civil rights champion Jim Brown is the latest high-profile figure to weigh in on the controversial anthem protests, saying that he would “never kneel” during the National Anthem. Brown, considered the greatest NFL player of all time, said, “I’ll never kneel and I will always respect the flag,” before the HBO premiere of “Hard Knocks,” reported Fox News. However, the civil rights champion added that while he prefers players to stand for the anthem, he respects those who kneel. “Well, if you take the bottom line, what are we talking about? We’re talking about freedom to express one’s self, and if you don’t break any rules then you have that particular right,” he said. 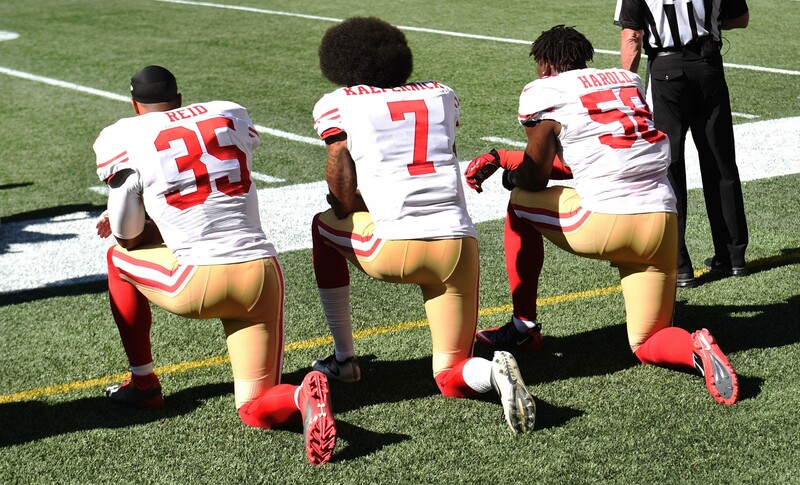 “I am not going to stand up to show pride in a flag for a country that oppresses black people and people of color,” Kaepernick told NFL Media at the time. However, the protests caused division in the NFL and the country as more players joined in and as both public support and backlash grew, with celebrities, politicians, and even the president chiming in. The NFL, whose viewer ratings have been steadily dropping since the protests began, adopted a new rule in May that mandated players stand for the anthem or wait in the locker room until after the anthem and that each team would form its own disciplinary policies for those who didn’t follow the rule. However, two months later, the rule was frozen amid ongoing discussions between the league and the league’s player union. Brown’s comments follow up on his addressing the issue in 2017. “I’m going to give you the real deal: I’m an American,” Brown told ThePostGame last year.